As the weather is getting warmer, we are all coming out of hibernation and looking forward to spending more time outdoors – on my Christmas list this year, a Penny Board 27″. 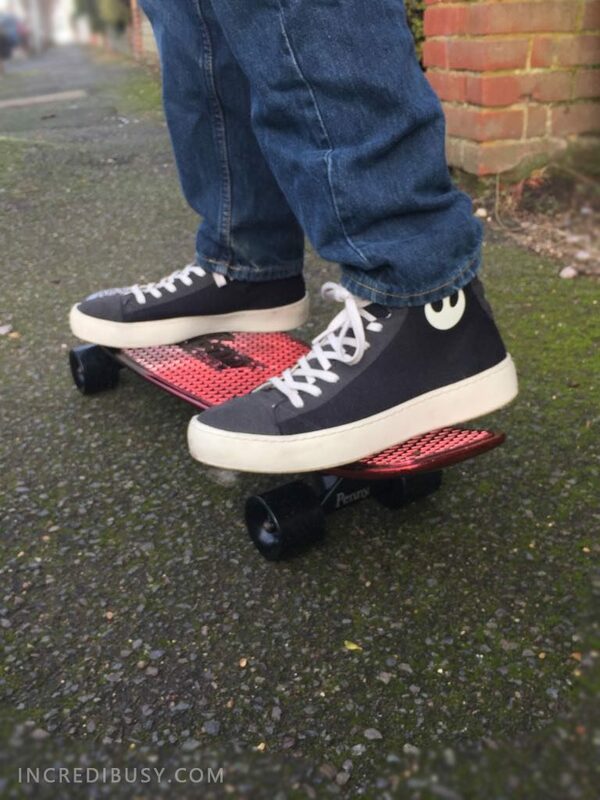 Ronnie age 13: I have had the smaller penny board for a couple of years, which I bought with my own money, and I love it – it’s still works really well, and I enjoy taking it out on our street after school. As I skate on the road (which is a quiet London backstreet) you don’t feel the bumps as much as you would on a normal skateboard – and I would definitely say that it’s worth saving up to buy the REAL Penny Board, rather than cheaper copies as the quality is absolutely excellent, the wheel mechanism smoother and just looks so cool! Spike age 15: We also found that the bigger size cruises easier and turning is smoother. 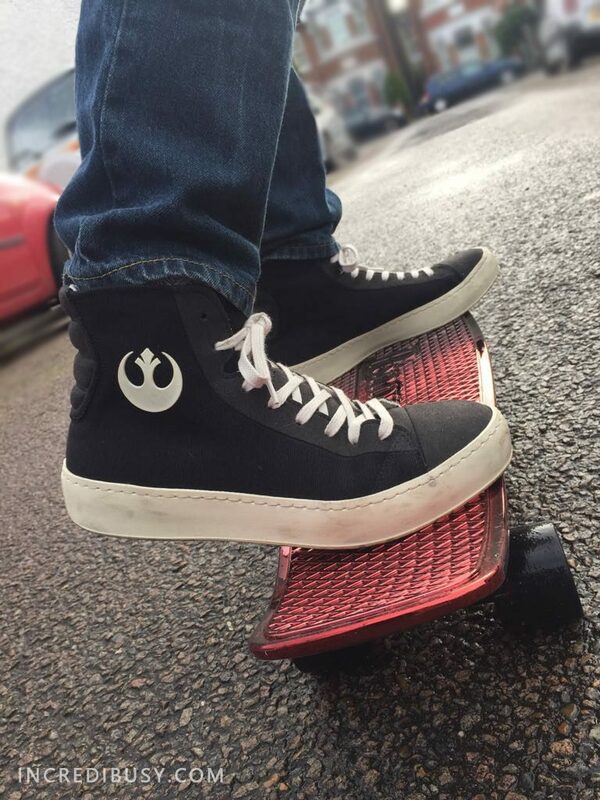 The 27″ board is a bit longer and wider than the smaller 22″ size, offering a bit more surface area under your feet, and hey my feet are getting bigger every week now! 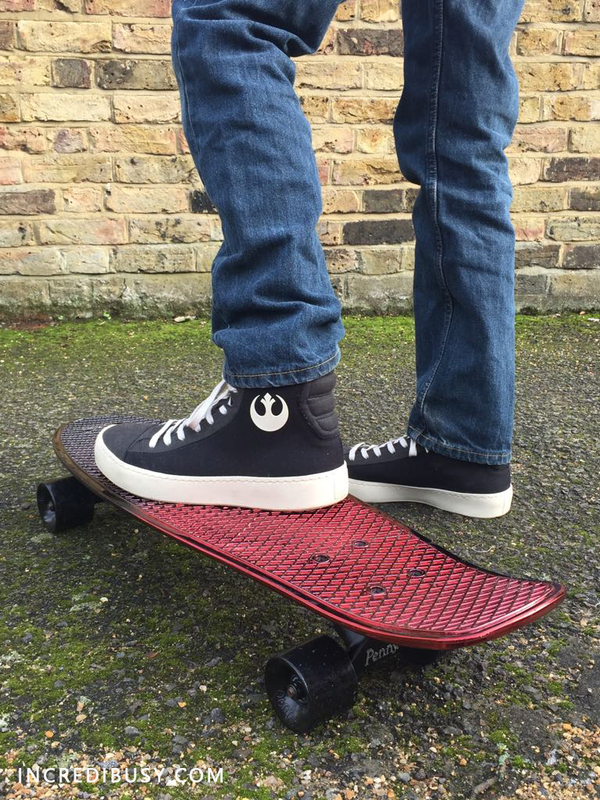 The Gunmetal Red Metallic Fade 27″ is the perfect board if you want to shine with a little more stability. the Metallic Fade is a unique look you can’t find anywhere else in the cheaper market. It is made with the same high quality formula Penny is known for, with a distinctive faded finish. 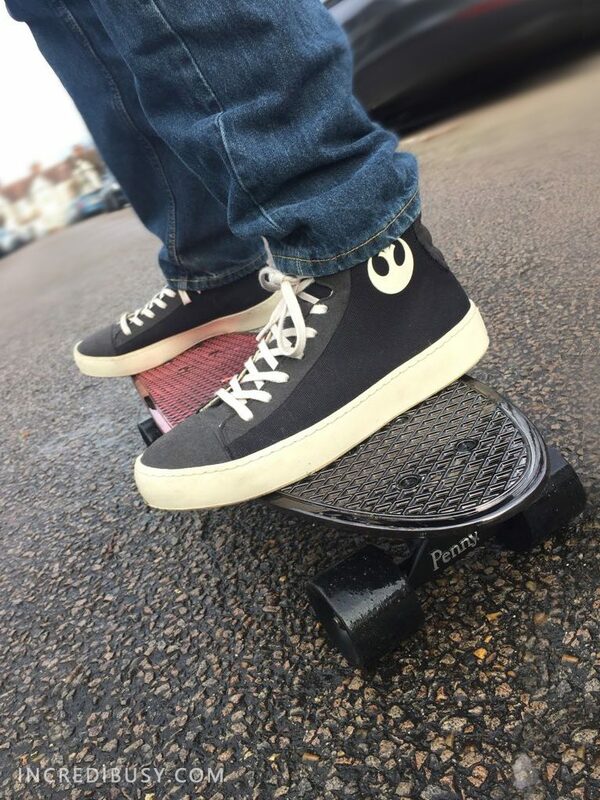 Perfect for riders of any skill level, the Penny Board itself is quite flexible so that balance is easier and the colours are really great, I like that and the bearings inside the wheels are very smooth so that you can travel for quite a time without having to boost yourself again!